Ideal for any style of property, we supply and install delightful uPVC stable doors in homes across Kent. Our timeless uPVC stable doors offer extensive benefits as they are versatile, stylish and secure. 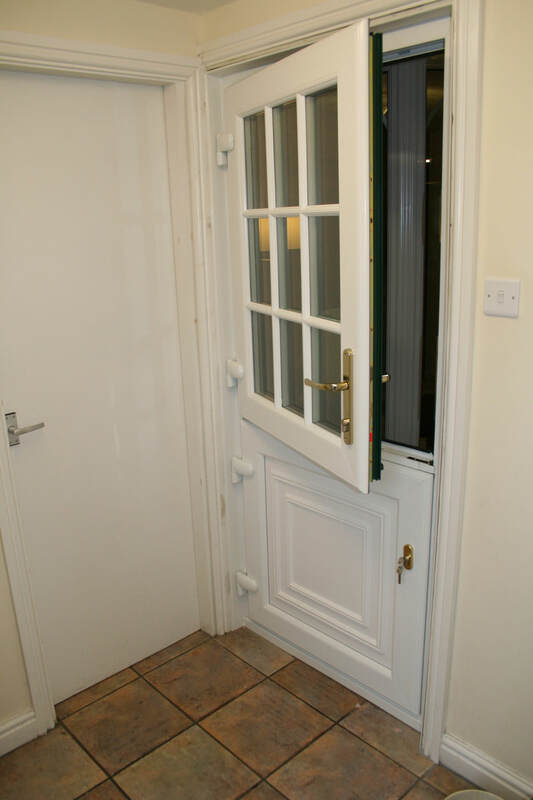 When you are looking for a charming and quaint entrance to your Margate, Kent, Herne Bay, Canterbury, Ashford, Kennington, Folkestone or Broadstairs home, a uPVC stable door is the perfect choice. Offering excellent thermal efficiency and outstanding versatility, these beautiful double glazed doors add character and personality to your property. Very often, our uPVC composite stable doors are the most sought after style for homeowners with more traditional properties, however, new builds can also benefit from their elegant and ageless design. 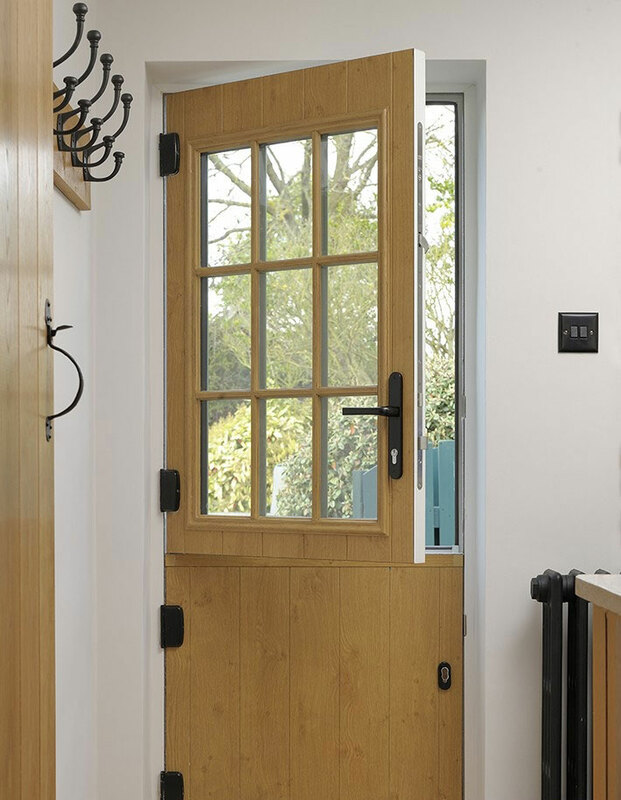 These beautiful doors are a favourite as a back door, adding character and charm to your home, while providing the practical function of safe ventilation. Our uPVC stable doors are designed to have two independent opening sections that can be opened separately or as a single, connected unit. This superb function allows you to access easy ventilation for your home, while still keeping your children and pets safe. As the top and bottom sections of our double glazed stable doors can be joined and used as a single door, you receive all the benefits of a standard uPVC back door or side entrance. You can choose from a vast array of colours, finishes and glazing options for your double glazed stable door. With our outstanding options, you can truly personalise your uPVC stable door as well as have consistent finish throughout your home, by colour matching your other uPVC residential doors and windows. The protection of your home and your family is important to us, so as with all our double glazed doors, our uPVC stable doors come with a high security locking system as standard. Our state of the art multi-point locking systems and interlocking door bolts ensure the top and bottom door sashes offer exceptional levels of security. You have the option of further enhancing your door security with our extra hinge protection bolts. These can be fitted to your door, giving you superior protection. As a deterrent to intruders, the locks on our uPVC stable doors feature anti-snap, anti-drill and anti-bump technology, which make them almost impossible to break into. We are proud that all our security locks and products meet the robust Secured By Design standards, the police preferred specification. A wide variety of colours, styles and finishes. Start your online quote for a competitive uPVC stable doors price. Our online quoting engine is so simple to use, just enter your specifications and choices, and the intelligent calculator will do the rest, providing you with a tailored quote almost instantly. If you would prefer to discuss your options with one of our friendly and helpful customer services team, then please contact us. Our team are on hand to answer any questions you may have and they can also provide you with a free, no obligation quote based on your requirements.